Lightly embossed and patterned after cedar wood grain, Eotek® offers the texture of cedar without the drawbacks of wood. 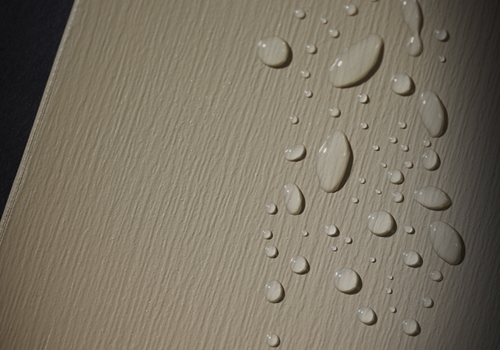 Think of Eotek as classic, timeless outerwear for your house. It sets the tone, offers protection and serves as the backdrop for architectural elements. Eotek complements colonial, arts and crafts, modern, cape cod—any upscale home style. Homes wrapped in cedar are valued for their rich beauty. Eotek takes its cues from cedar for presence and prestige. The look of real cedar is duplicated in Eotek through a grain that mimics its subtle texture and pattern.